As the Lions enter their second week of the coaching search, here are 10 things we know. 1. It appears Ken Whisenhunt is the leader in the clubhouse even though he hasn’t interviewed yet. As offensive coordinator for the Chargers, who beat Cincinnati Sunday, he wasn’t allowed to talk to the Lions until after this game. They can interview him this week, but they can’t officially hire him until the Chargers lose. The Chargers play at Denver next Sunday where they won 27-20 in December. 3. Whisenhunt and GM Martin Mayhew are friends who played together for the Washington Redskins in 1989 and 1990. The decision goes way beyond friendship. The Lions need a coach with NFL head coaching experience and who has offensive expertise. It’s a bonus if he knows Mayhew. 4. Jim Caldwell, current Ravens offensive coordinator and former Colts head coach, interviewed with the Lions on Friday. 5. Matthew Stafford was involved in the Caldwell interview process, going over film with him. This is curious since Mayhew said on Monday that he would not seek player input in the hiring process. Then again maybe Stafford won’t have a voice in the hiring, but seems like a great idea to have him involved in the process. 6. The Lions could also be interested in both Bengals’ coordinators — Jay Gruden on offense and Mike Zimmer on defense. Neither has been an NFL head coach. 7. Of the seven NFL teams with head coaching openings, two have been filled. Lovie Smith, another Mayhew friend who could have been a serious candidate for the Lions, signed with the Tampa Bay Buccaneers while Bill O’Brien signed on with the Houston Texans after spending two seasons at Penn State. 8. Openings remain with the Lions, Vikings, Titans, Browns and Redskins. Not all are looking for the same type of coach. 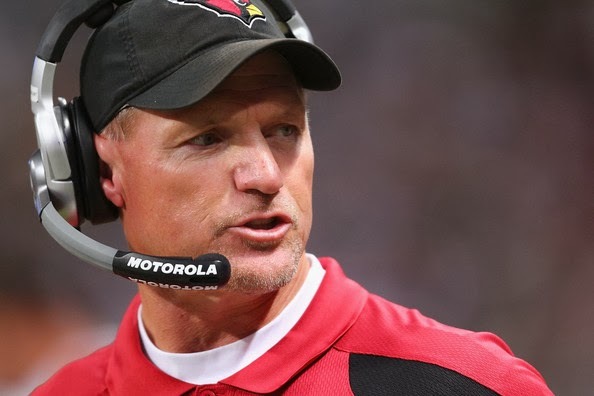 Although the Titans, who fired Mike Munchak on Saturday, are also reported to be interested in Whisenhunt. 9. Tony Dungy said if any team could get him off TV and back to the coaching ranks, it’s the Lions. Still he has no plans to return to coaching. He did make it clear he thinks the Lions offer the most with their 53-man roster. 10. Jon Gruden, ESPN analyst, and Bill Cowher, CBS analyst, have made it clear this week they are not candidates for any openings.